The parish of Welney is one those anomalies, it being partly in Cambridgeshire and partly in Norfolk. Today the village of Welney lies wholly in Norfolk following 1970s boundary changes. 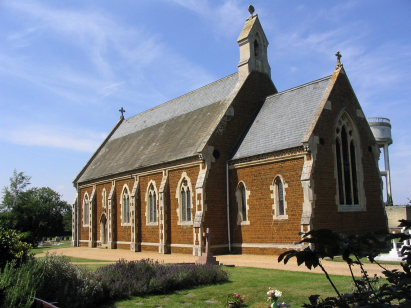 The parish, therefore, sits in the extreme southwest of the county and Welney sits on the A1101 road which connects the Cambridgeshire market town of Wisbech with the small city of Ely being roughly 9 miles from either. Welney today is a linear village spreading along the A1101 and the B1100 which runs westward from it. The village sits on the western banks of the Old Bedford River, the ambitious drainage scheme designed to hold flood waters between the twin banks. Today that space is occupied by Sir Peter Scott's Wildfowl and Wetlands Trust reserve a winter haven for wild swans & ducks. The surrounding area is classic Fenland, vast skies over the flat landscape which stands at sea level and even slightly below in some places. The area was much more populated at the time of this transcript as can be seen from the number of baptisms recorded. 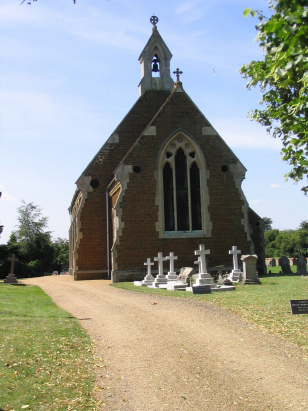 St Mary's church stands on the western side of the A1101 about 200 yards north of the bridge across the Old Bedford River. Sadly St Mary is not some mediaeval masterpiece but a Victorian church built in the 1840s. The church utilises the lancet windows design characteristic of the Early English Gothic period. The use of West Norfolk carstone with its characteristic umber colour makes for an attractive design set off by the window surrounds. The church is set a little back from the road approached through a gravelled, almost manorial, entranceway. The site is open and with few obstructions to the photographer. Three register books cover the period of this transcript. The first of 800 entries, the latter two both of 1600; the third register runs onwards to complete in 1904. The registers for Welney are deposited with Cambridgeshire Archives as References KP163/1/4, KP163/1/5 & KP163/1/6. The registers up until 1876 are also available to view on Familysearch but only at an LDS Family History Centre. As Cambridgeshire Archives was closed for its move to Ely at the time of this compilation those images were used and the period completed from Bishop's Transcripts available at Norfolk Record Office. Across such a long transcript there are bound to be variations in handwriting and image quality but an overall rating would be satisfactory.